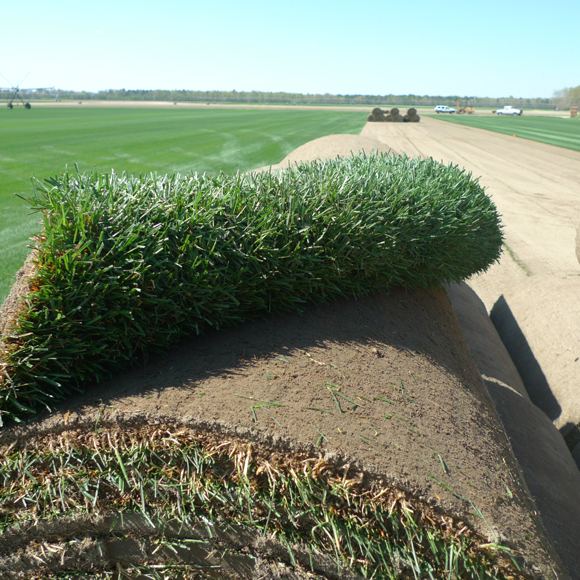 As I type, the sod for our lawn is being harvested at a farm in Tuckahoe, New Jersey. Taken earlier today, these photos show the beautiful grass (a mix of rye, fescue, and bluegrass) being cut and rolled in preparation for the trip to Manhattan tomorrow. 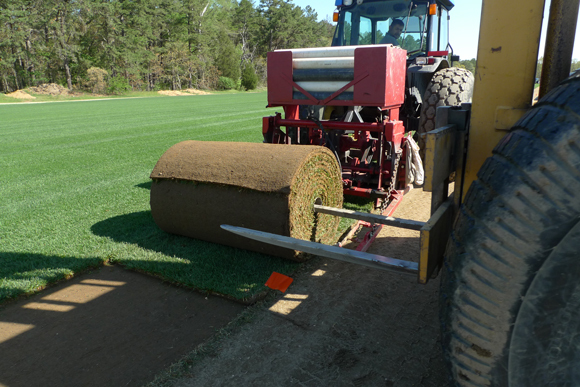 Sod installation is scheduled to begin tomorrow in the park and will continue early next week (pending appropriate weather conditions). 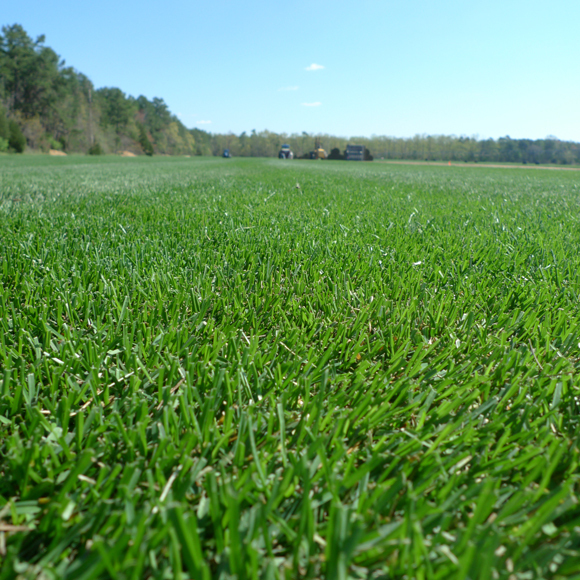 At 300 feet long and 215 feet wide, it takes over 5,000 pieces of sod to complete our lawn.